November is rapidly drawing to a close, and for some men, it’s meant their razor has had limited use over the last 30 days. ‘Movember’ is the month when usually clean-shaven guys cultivate upper-lip foliage in the name of raising money and awareness for men’s health. It’s a good cause, and the range of success that different men attain when they decide to grow a moustache makes Movember an event for participants and spectators alike. There are established rules in the Armed Forces regarding facial hair. 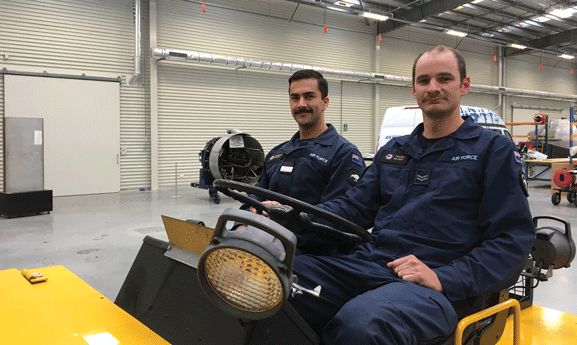 Generally speaking, moustaches and sideburns are OK in the Air Force and Army - so long as they are tidy and the moustache doesn’t fall below the top of the upper lip. Sideburn length is limited to the base of the ear, and beards are not permitted. The Navy allows beards, on request, but these must also be tidy, and a moustache cannot be worn without a beard. Over the past few years however, the rules have been relaxed for Movember, allowing serving personnel across the forces to take part in the follicular festivities. 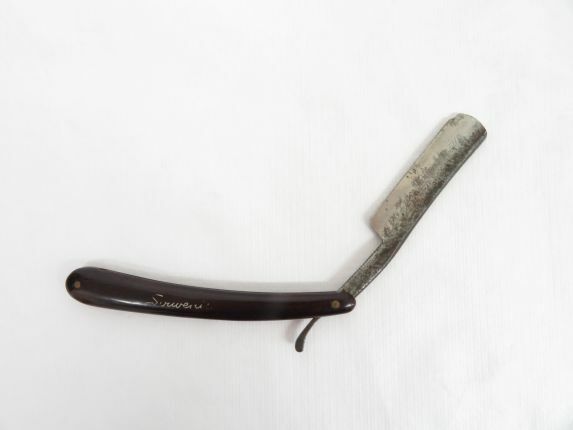 Considering the restrictions – historical and ongoing, it’s not surprising that the Museum’s collection includes a number of men’s grooming items. These include a cut throat razor made by Leading Aircraftman Ernest Dense while a Prisoner of War in Changi Prison, Singapore, between 1942 and 1945. Into one side of the handle Ernest has carved ‘Singapore’ and into the other ‘Souvenir’. Into the respective sides of the blade, he has inscribed ‘MADE IN Changi POW CAMP’ and ‘To Father From Ernie’. We do not know the exact process that Ernest used to create this razor, but POWs were well-known for their ingenuity and for finding ways to keep themselves occupied. Cut throat razor.From the Collection of the Air Force Museum of New Zealand. 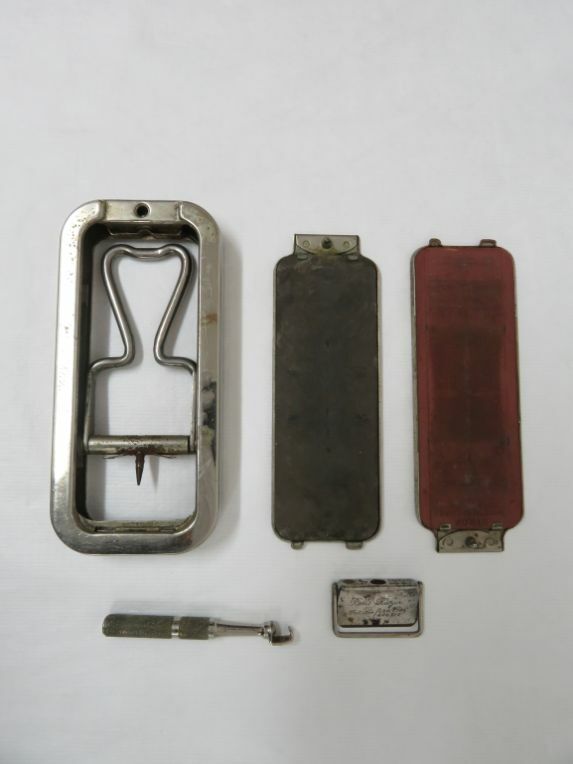 An interesting example of a safety razor, the ‘Rolls Razor’, was manufactured in England from the 1930s until the 1950s, by which time competition from electric razors had caused sales to decline. The Rolls Razor is made up of an elaborate chromed housing, two detachable lids, and a razor. A single wedge-shaped blade is attached to a metal screw-on handle to form the razor. The blade also features a small pivoting safety bar across the cutting surface. The chrome housing is not only decorative, but also part of the item’s workings. Attached to the underside of the two lids is a strop to realign the cutting edge, and a hone to re-establish it. The main body has a rolling mechanism and lever which, once the blade is attached, allows the user to work the cutting edge across either the strop or the hone, ultimately preparing the blade for use. The instructions that accompany the Rolls are extensive, and the blade upkeep required seems convoluted for anyone more familiar with modern disposable razors. However, the design of the Rolls was successful enough that a rival company, Darwin’s Ltd, manufactured their own similar product. Warnings on the Rolls are also a reminder that drawing a piece of sharpened metal along your jugular area isn’t without its risks. Rolls razor.From the Collection of the Air Force Museum of New Zealand. Tidy hair, of course, also extends to hair styles of the head. The Oster Model B hair clippers demonstrate that a short back and sides could be achieved in any setting, thanks to good old-fashioned ‘elbow grease’. The clippers are hand-operated, and squeezing the handles moves the cutting teeth across the top of a comb-like attachment. You can imagine that when blunt – or when in the hands of a sub-par barber, these clippers would chew rather than a clip, and the experience would be far from enjoyable. A number inscribed on the bottom attachment indicates the length of the cut. This one is a number 0, a close shave indeed! 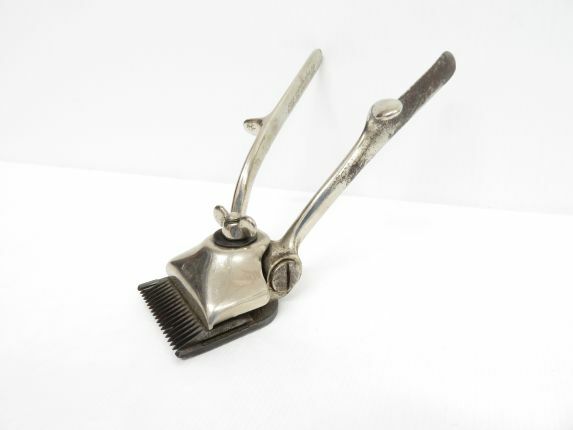 Oster hair clippers.From the collection of the Air Force Museum of New Zealand. Punishing facial hair, on display at the Air Force Museum. As worn uncompromisingly by Officer Cadet Jamieson Taylor (left) and Corporal Tim de Roo (right).